The appearance of skin patches that are darker than the surrounding skin colour is called hyperpigmentation. Melanin, a natural pigment that determines our skin, eye, and hair colour, can sometimes form deposits in the skin. These deposits are what cause the dark patches and blotchiness of hyperpigmentation. SKIN MediSpa offers the most effective treatment program for the fading or removal of both single and multiple brown spots. 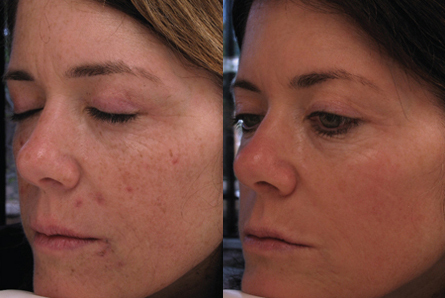 Brown and red spots, sun spots, age spots, melasma, brown scars and post inflammatory or post-traumatic hyperpigmentation can all be treated effectively and safely with our multiple treatment modalities. A SKIN specialist will review previous and current skin care, perform a detailed skin analysis, discuss general health history before recommending a customized treatment program. SKIN’s Prescription Medications are advised in consultation following a thorough medical history and examination. SKIN’s Medical Grade Products are customized daily regimens for home care of your skin to maximize treatment results and maintain healthy skin. SKIN’s Total Skin Renewal program saves time compared to other treatment programs by combining a series of three anti-aging treatments into one. 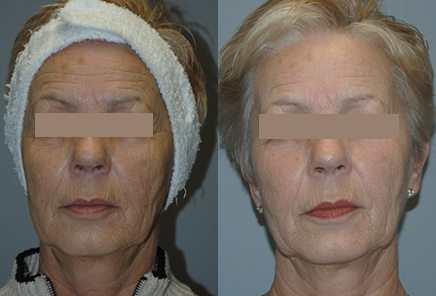 Color correction, skin tightening and wrinkle reduction can all be achieved in a single office visit. Visible signs of aging such as sun damage, wrinkles, enlarged pores, acne scars, broken blood vessels, redness, brown spots, melasma, skin sagging, and poor skin tone are all targeted by this program. SKIN’s Epidermal Face and Body Peels combine brightening and anti-inflammatory agents with a peeling solution to improve photodamaged skin, melasma and acne-related discolouration. 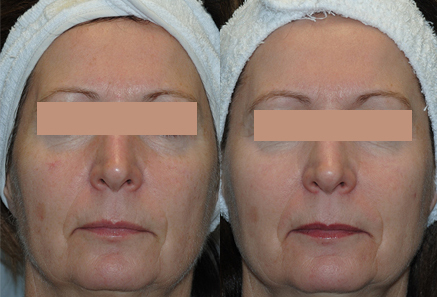 These combinations cause the upper layer of the epidermis to slough off over the course of several days post treatment. These powerful yet non-damaging peels, can take years off aging skin by help to fight the effects of time, sun damage, and environmental assaults. 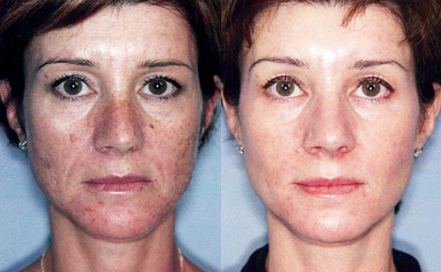 SKIN’s Intense Pulsed Light (IPL)/Radio Frequency Treatment incorporates intense pulse light and radio frequency energies to reduce brown and red spots, hyperpigmentation, broken blood vessels, melasma, freckles, poikiloderma and discolouration of the skin resulting from sun damage and age. Patients will notice fading or elimination of red and brown spots. Additional benefits include undoing years of sun damage and preventing future sun damage. 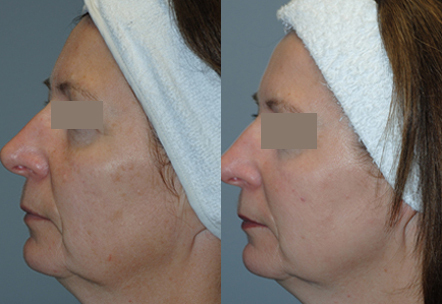 My second hand and face treatment for brown spots was nothing but exceptional . Donna is a consummate professional. My experience at Skin MediSpa was wonderful. If I could give the business ten stars I would. The service at Skin MediSpa is excellent. The skilled staff makes you feel comfortable and at ease. I would highly recommend them! 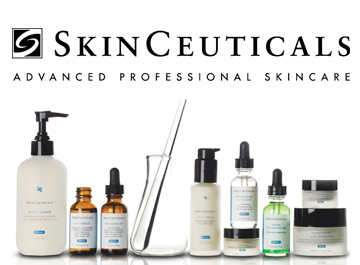 Created from decades of skin cancer research that led to pivotal breakthroughs in antioxidants, SkinCeuticals products are concentrated in pure actives and proven to penetrate optimally into skin to correct the signs of aging, protect healthy skin, and prevent future damage.